Everyone wants to find their purpose in life. By using the sacred geometry found in feng shui principles, you can tap into the universal energy that governs all life. It's called the architecture of the universe and the fingerprint of God. It's also referred to as creation's hidden architecture. These geometric patterns are found from the tiniest sub-atomic level all the way to the galactic scale. They can be found in humans, plants, minerals and everything within the domain of creation. Sacred geometry reveals very clearly that everything is connected. Author Toni Delgado (A Call to Mother's Grace and Gifts) reminds that "Only you can find out your Higher Life Purpose on your own." No one else can define your life purpose. It's a journey of self-realization. Delgado says, "Your body will tell you when you have discovered Your True Dharam." Discovering your personal talents is a process; an evolution that is never-ending. Your journey can be aided by sacred geometry and feng shui. Just as you would prepare for a road trip, you want to gather a few tools and belongings that can help you make that journey easier and more enlightening. Plato said it best, "Geometry will draw the soul toward truth and create the spirit of philosophy." Integrative Life Coach, Leila Reyes explained how feng shui aids the journey to discover your life purpose. She wrote about her conversation with Linda Binns, Feng Shui Success Strategist, about finding one's purpose through feng shui. Reyes wrote, "...it became clear that your environment has an impact on your energy field and your ability to connect with your Life Purpose." If you can achieve this in your home and work environment, the chi energy will be attracted to your home and bring a wealth of opportunities and allow you to tap into this profound wellspring of energy that can guide you to self-awareness and knowledge. This in turn can assist you in discovering your life purpose. Five thousand years ago, the ancient Chinese grasped the art of sacred geometry by recognizing those patterns in the natural world. Out of that understanding, they developed the art of placement known as feng shui. They built palaces, temples and other structures based on sacred geometry known as geomancy, the auspicious placement of buildings/structures and other objects. The effects of using feng shui principles were so powerful, only the emperors and royal families were allowed to use it. Since human history, these sacred patterns have been used in art, music, science and other human expressions. Golden Ratio, the measuring stick for all things beautiful (1.618 Phi), also known as symmetry. 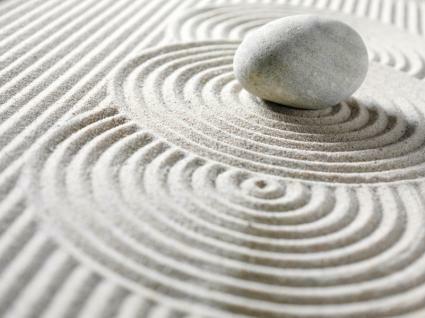 The mainstay principle of feng shui is to achieve balance in your environment. 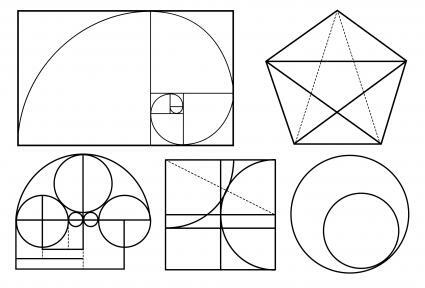 The Golden Ratio determines if a building, object or even a person is deemed beautiful. Chi energy operates on this same principle of balancing yin and yang energies. This is why symmetry inside and outside the home is the ideal goal of feng shui. The first Fibonacci number is 1. In feng shui, the number 1 relates to the center. 2 is very important since it couples the two opposite energies of chi - female (yin) and male (yang). 3 represents the Magic Square (depicting a cosmic trinity of heaven, earth and human chi). 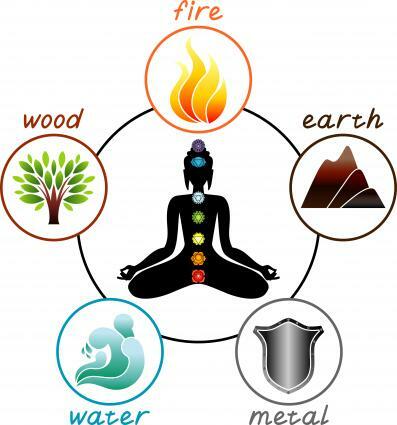 5 is the symbol for the five elements (water, wood, fire, earth and metal). 8 is the eight trigrams (directions) and the bagua (eight sided). In the search for your life purpose, it's vital to understand that you must first achieve balance in your home, work, and all aspects of life as well as internally. This balancing opens the chakra centers in your body that in turn allow the chi energy to flow through you, raising your frequency to new levels. This attainment then bestows access to new energy, thoughts and creativity. Feng shui can assist in the search for your life purpose. You can activate the helpful people (mentor) sector in your home and office to assist you in this journey. Using sacred geometry, this sector is governed by the metal element. The bagua places this sector in the northwest compass direction. The geometric shape for the northwest sector is the circle or oval. Using this information, you can select a metal plate, tray or globe and place it in the northwest sector of your home or office to attract helpful people/mentor(s) into your life. These people may guide you and inspire you along your path to self-realization. There are universal symbols that are considered sacred. Many of these symbols represent feng shui elements. You can tap into the energy of these symbols to energize yourself by wearing or carrying the symbol(s) in a purse, backpack, keyring or other object. You can also use basic feng shui principles to apply to your home décor, such as enhancing specific life sectors. When these sectors are activated they not only energize you, but stimulate other energies traveling outside your home to attract positive chi into your life. By selecting objects with the correct shape and element, you can place in their correlating sectors throughout your home to stabilize the chi energy and to further activate the elements of the sector. When your home is in ideal balance, you will reap the benefit, physically and spiritually. Square pottery vases can be placed in NE and SW sectors. Pyramid shapes candle will fuel the South sector. Wood rectangular box placed in SE and E sectors. Round or oval metal bowl, plate or tray placed in W and NW sectors. Tabletop water fountain or aquarium in N sector. Sometimes outside influences can assist in finding your life purpose. You can stimulate these forces with a few elements placed in the right sectors of your home and/or office. If you're unhappy in your career, but don't know what you'd like to change, place a water feature in the northern sector of your office or den to bring new opportunities to you. If you need to explore life and require more education, then a crystal placed in the northeast sector of your home or office will activate your education luck. If your quest requires you ake a journey, but your financial resources are lacking, stimulate your southeast sector (wealth) with a tabletop water fountain. The ancient Chinese continued their exploration into sacred geometry created the I Ching (Book of Change). The I Ching is a 5,000-year-old form of divination that uses coins or yarrow sticks. Feng shui practitioners will often consult the I Ching when presented with an especially challenging feng shui issue. They have other tools at their disposal, including Chinese astrology. Their arsenal of ancient formulas and tools can assist them and help homeowners with specific problem areas, such as careers, relationships, finances and more. The person asks a specific question and the coins are either tossed or yarrow sticks tossed. 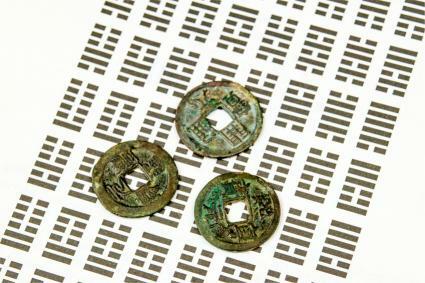 Using a sequence of drawings, the coins or sticks are recorded and then interpreted using the I Ching Book of Oracles. This book features 64 essays for the 64 hexagrams. The hexagrams are made up of solid and broken lines that represent yin and yang energies. Much of the meaning is deciphered by the consultant since the book is written in prose. One of the most misunderstood tools for self-discovery. Meditation opens the mind and heart to new thought patterns and energies that guide the soul to enlightenment. Meditation isn't always about sitting in the Lotus position repeating "ohm" or long mantras. There are other ways you can achieve deep mediation that can lead you to self-awareness and your life purpose unfolding. 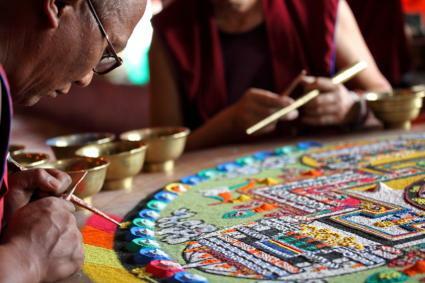 Buddhist monks are known for creating extravagant colorful sand mandalas that once finished, they easily destroy. Mandala designs are made up of sacred geometric patterns and shapes. Some believe that the geometric shapes resonate with specific energies in the universe and can imbue those energies to the person creating them. The creation process serves as a meditation tool by occupying the conscious mind with a task so the subconscious mind is freed. The modern world's answer to creating a mandala is the popular art form of coloring pre-made mandalas. Physical tasking: Undertake a simple but physical task, preferably repetitive, such as washing dishes, sweeping, folding laundry, etc. Sacred circle: Either sit, stand, work or walk in a circle, such as a labyrinth. Through the use of feng shui principles correctly applied, self-discovery is bolstered through enhanced chi energy. Through sacred geometry, you can expand your consciousness and eventually achieve self-discovery to reveal your life purpose.